EcoTurf was founded on the basis of wanting to be different than other lawn care companies. 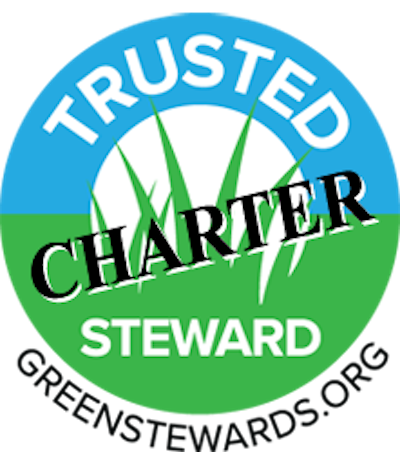 We are a family owned, local lawn fertilization business that is environmentally conscious and strive to be safer for you and your family. We take pride in our work and want to be the best local lawn care service provider in Windsor and all of Northern Colorado. We educate and inform our customers as well as provide expertise in the lawn care field. Not only are we fertilizing the grass, we are putting the power of organic nutrients back into your lawn – with a free Organic Soil Amendment included in every lawn fertilization application. By creating healthier grass, roots and soil with fewer chemicals applied, we are working with nature to boost and enhance your yard more naturally. Getting a green, lush, weed-free lawn with fewer chemicals is now possible! We would love to get you to know you and give you a yard that you can enjoy and feel good about. As part of our commitment to our philosophy of sustainability, our goal is to eliminate: 1,000 pounds of nitrates, 500 pounds of phosphates AND 1,000 ounces of concentrated pesticides. 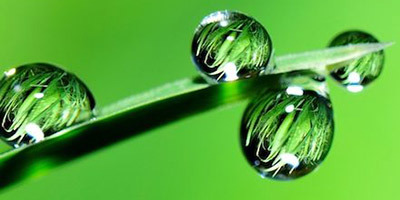 By partnering with EcoTurf, you can help us achieve “Our Greater Green Goal” to reduce the amount of nitrates, phosphates, and pesticides from entering our environment. Want to save up to 40% on your irrigation bill while improving your lawn? This program is geared towards larger lawns, but smaller lawns can still benefit from the savings and conserve our important natural resource, water. 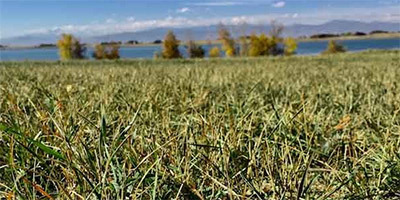 Designed with Northern Colorado’s unique soil and climate conditions in mind, our lawn fertilization programs are tailored to the needs of that time in the season. 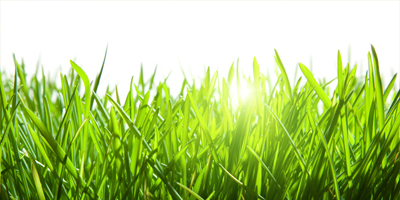 We harness the power of organics with the finest synthetics to boost your grass from the soil up. A free organic soil amendment included in every application. One of the best ways to loosen hard Colorado soil is through aeration, allowing water and micro-nutrients to enter the soil and allow roots to grow deeply beneath the surface, creating a strong, healthy lawn. We offer both mechanical core aeration and a liquid aeration. Do you hate finding earwigs, spiders, ants, and other insects invading your home? Our EcoGuard Program creates a barrier to safely and effectively prevent insects from coming into your home. 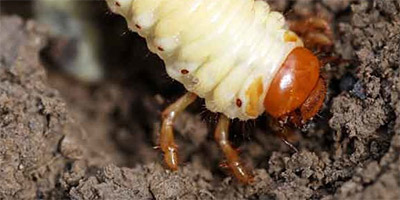 We also provide insect control for lawn insect infestations from grubs, mites, chinch bugs, etc. We offer pre-emergent and post weed control services for your rock and mulch beds to keep them clean and beautiful all year long with the lowest possible toxicity level products. EcoTurf treats all your rock, mulch beds and driveway cracks to kill any weeds and grasses present. We service manicured turf as well as your native areas. 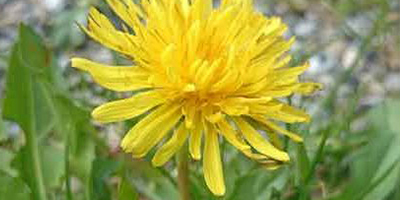 We offer native area fertilization and weed control options to keep your Colorado landscape looking lush and weed free. Lawn problems can be challenging and frustrating. 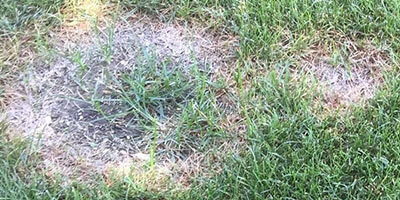 It is important to assess what might be the cause of lawn problems and receive proper treatments. Contact Us and we can come do an assessment if you have a serious lawn problem. Our Liquid Dethatch application focuses on digesting thatch efficiently through encouraging microbial activity at the soil surface and increasing heat. 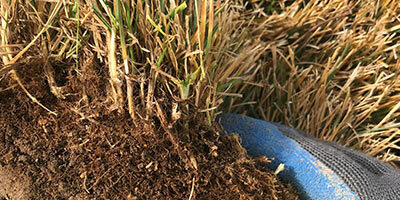 As the nutrients in this application break down together, they digest the thatch layer from the soil level up. Thatch is quickly reduced, and the organic matter is captured as a food source for your turf instead of removing it as in traditional power raking. 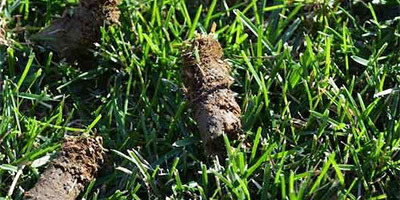 Addressing and analyzing the soil is an important component in lawn care. 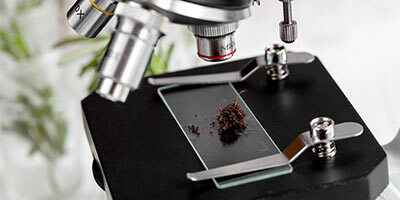 Identification of soil problems or nutrient deficiencies can be determined by soil analysis. It will determine what nutrients are out of balance and give a picture of the composition of soil to further aid in building a healthy lawn from the soil up.